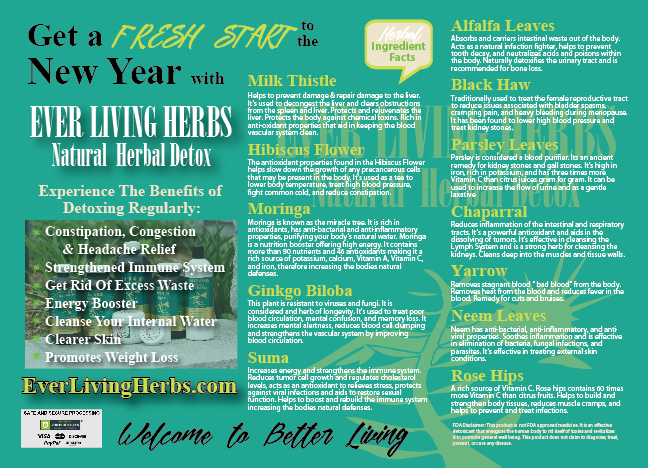 What are the benefits of using Ever Living Herbs Products? 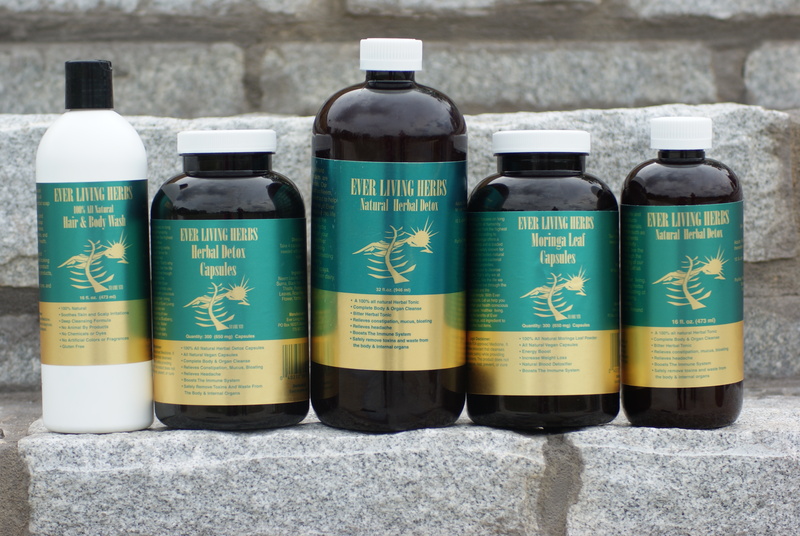 Ever Living Herbs Products are 100% all natural. Our products are made weekly with the freshest of ingredients. We focus on revitalizing the body and promoting overall general wellbeing by helping to return the body to its normal functioning by ridding the body of toxins. Is this product safe to use with children and elderly? Yes, the products are safe when following the recommended dosages. Is the product safe to use if I am pregnant? No, Ever Living Herbs Natural Herbal Detox and Detox Capsules should not be used during pregnancy. How does the herbal tonic taste? It’s a natural, rooty, bitter tonic. All major credit cards are accepted. We do not accept American Express. If you are an Amazon.com customer you can make payment using your Amazon Account. Click the button on the Shopping Cart or Checkout page to complete your order. All products are shipped through USPS. We offer Domestic and International Shipping at competitive rates. Once your order has been shipped you will be provided with a tracking number. Most refunds are processed within 24 hours after we receive the product and it meets the return qualifications. Have a question not listed here? Use the form to send us your question. We will email you a response. If it’s a great question, we’ll add it on this page to inform others!